First of all, I painted the inside of the caps with two coatings of white hobby paint. I turned the caps around and glued magnets to the back. 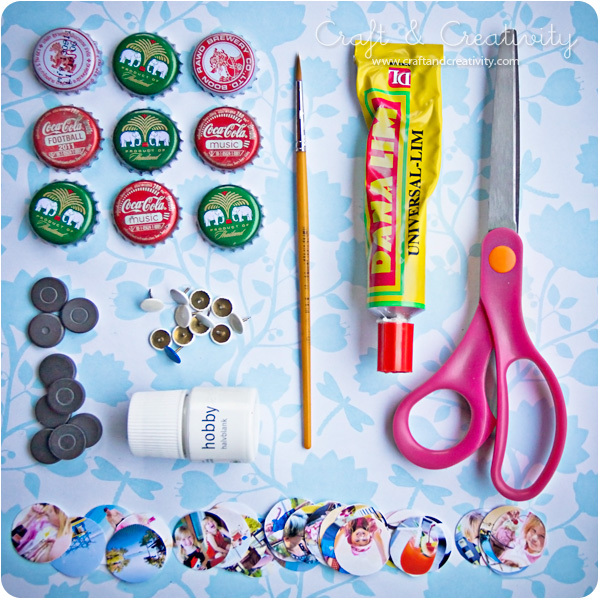 This entry was posted in Inspiration / Inspiration, Övrigt / Other, Pyssel / Crafts and tagged diy, inspiration, magnets, Martha Stewart, painting, paper craft, recycling, Thailand, tutorial, Via Craftgawker by Helena, Craft and Creativity. Bookmark the permalink. Vilket enkelt och bra pyssel. Du är så fiffig och pysslig. Jättefint! You amaze me! You are SO productive! 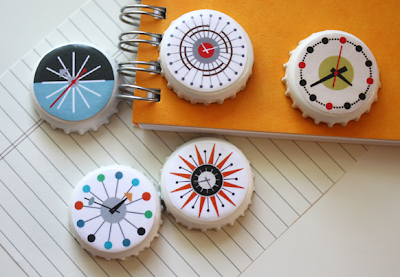 These are just the sweetest little magnets! Great job…your girls are SOOOOO CUTE! hi hi så små och sööta!!! Så stilige! Du er jo helt rå på slike småpuslerier:-) Tror jeg må gjøre noe lignende selv òg. Hmm vad ska man säga…DU ÄR UNDERBAR och INSPIRERANDE!! Galet härlig blogg, verkligen! Man blir så inspirerad, snyggt! Vilka härliga små fotoramar!! Jättefina! Ann-Sofie, Ninette, Karin & Freja, Lena, Spindeltjejen, Joni, Vardaglyx, Fröken Pyssel, Viktoria och Linda: TACK!!! Ni anar inte vad glad jag blir för era kommentarer. 🙂 Ha en härlig helg! Michaelanne & Hilke: Thank you so much! Have a great weekend! Otroligt fiffigt! Den idén tar jag med mig till mina egna barn och till fritidsbarnen! Tack Sara! Kul att du gillade idén! Vilka fantastiska magneter det blev. finaste bloggen på länge. kul! Ja, fint och kul att använda något så enkelt..! This is amazing! 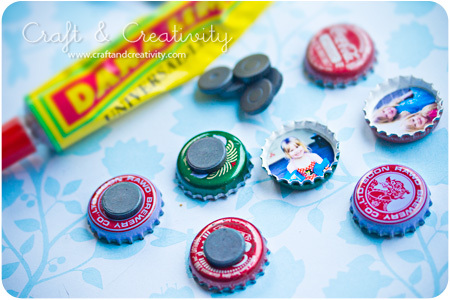 I have been collecting bottle caps for a while now, but never knew what to do with them. Now I know exactly what I can do with them! 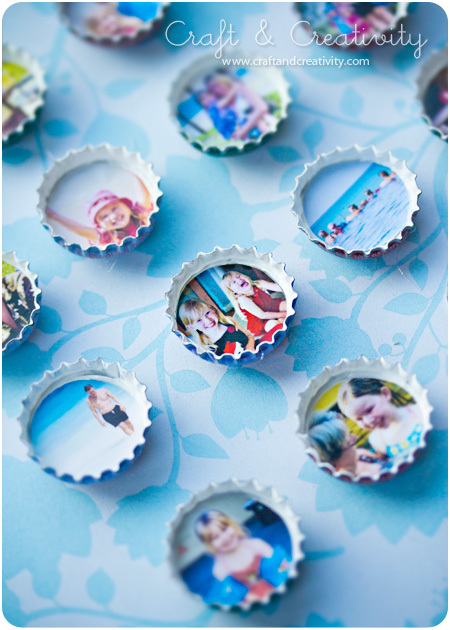 you just brought back alot of memories for me espically using bottle caps as little candles. 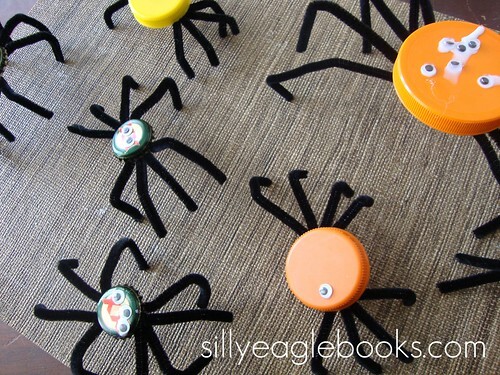 On those however i did hot glue into different shapes because the wind and people can blow all over. 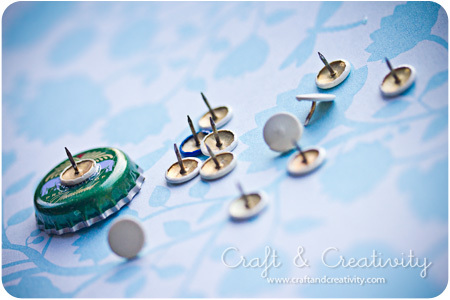 my question is where do you find UNUSED BOTTLE CAPS NOW DAYS??? I am working on football(USA) items for sunday bbq’s table decorations, after 24 ys i’m all thought out. Fathers Day covered SOAP ON A ROPE old school I know however the DADS JUST LOVE THEM,& have demanded that they need to remain the school project,Moms want their bath salts(espon salt w/blue food coloring) the more coloring the deeper the blue. 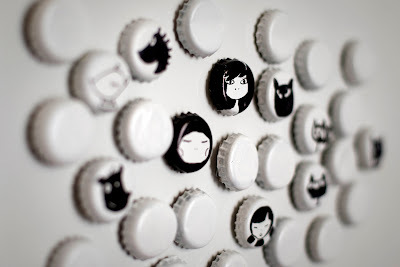 So can you help me with the bottle caps?? 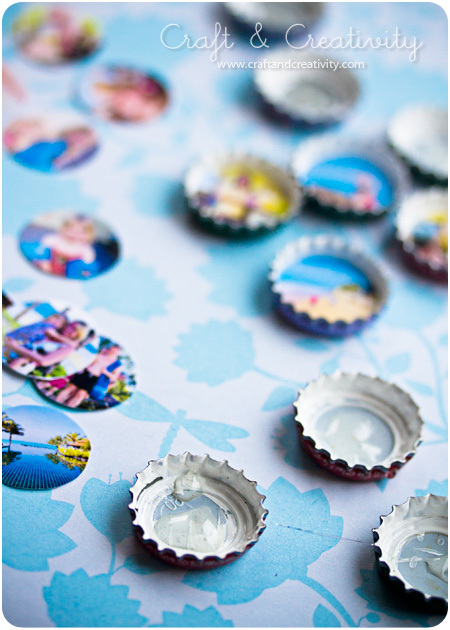 while i was looking at the small little pile of photos not yet glued onto bottle caps I thought why can’t I use all the juice top and bottoms that I save. 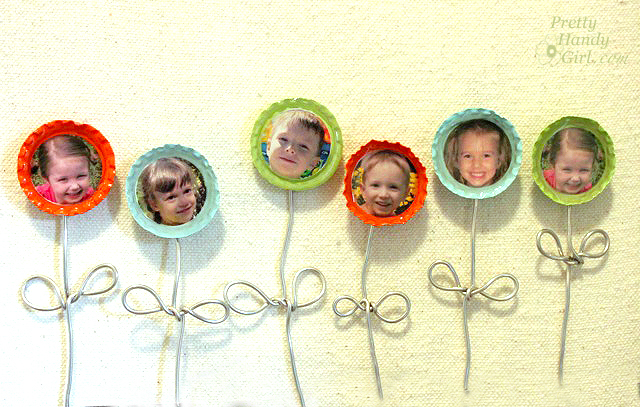 A crafter throws nothing away nor do we get to the horder point of crafting, I can do the same thing only a little bigger which I think grandma may be able to see pic better, instead of using the round magnets I can use the strips which are much less expensive. 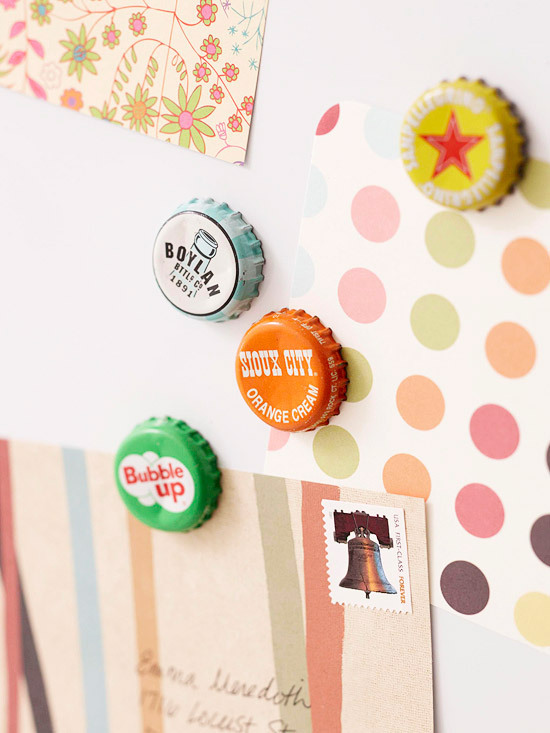 however please still let me know about bottle caps, can use those for college dorms. Thanks Mickie. P.S. what language (country) is this site comming from? 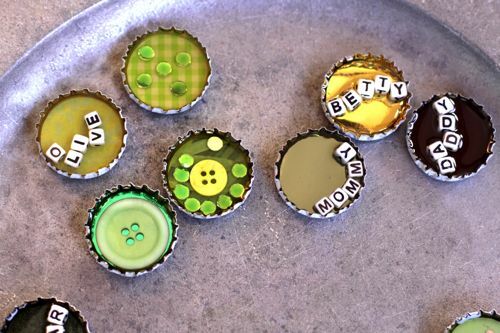 Mmickalin: My bottle caps are used. I’m afraid I have no idea where to get unused ones. 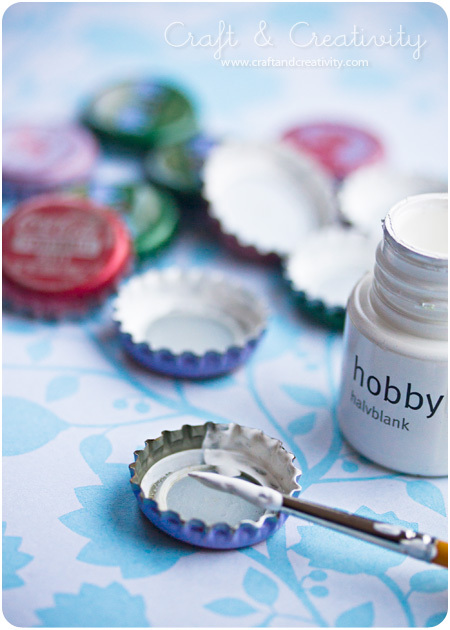 🙂 But if your careful when you open the bottles you can still use the caps, like I did. The blog is written in Swedish. 🙂 Good luck with your craft projects! 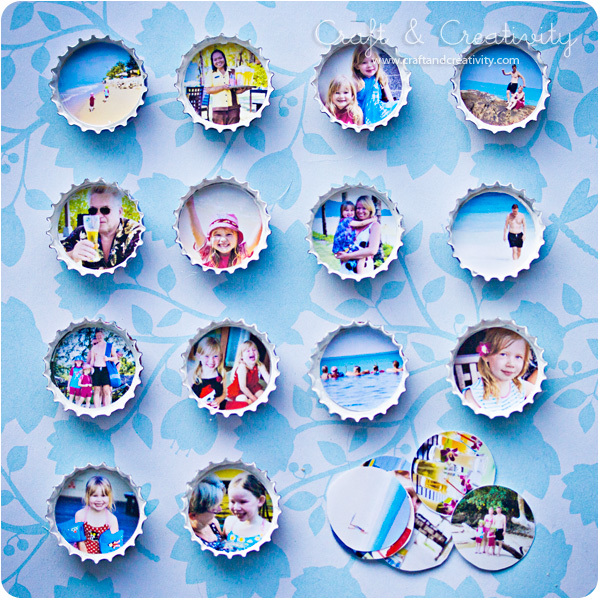 Very neat Idea, This can be used for lots of things such as table tops, shadow boxes ect. Good luck thanks for taking the time to show us. Such a lot of adorable ideas. Jättefina! Men hur beställde du bildena för att få de så små?